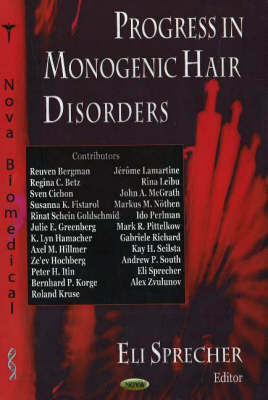 In the present monograph, leading figures in the field of genetic hair research summarise major recent advances. View as a whole, these reviews of each of the major areas of hair genodermatology not only illustrate the importance of recent findings to our understanding of skin biology and the management of hair disorders, but also underscore the relevance of hair genetic research to non-cutaneous pathologies. The wealth of recent discoveries combined with the application of emergent technologies to the study of hair biology and diseases have placed this discipline at the forefront of biological research, generating unprecedented challenges for investigative dermatology that are transpiring throughout this new and pioneering book.